Sister to Sister Ministries is the Women’s Ministry of First Baptist Church Pflugerville. Our hope is to reach out to women across ages and stages of their lives to love and encourage one another as we go through life together. We offer opportunities to come together for fun and learning about God and then stepping out to serve the community around us. Join us as we link arms, Sister to Sister, to show and be love in this crazy world. 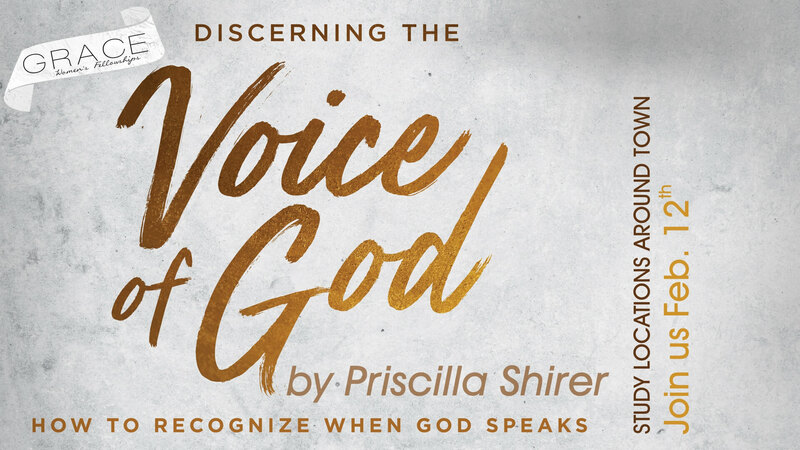 Join our Faith Bible Fellowship as we study “Discerning the VoiceGod” with Priscilla Shirer. We would love to have you join us at First Baptist Church Pflugerville beginning the week of Sept. 20th for this 7 week study. Please sign up on Sunday at our Ministy table or register online HERE Free childcare is available for the Friday morning class, sign up is required. You can also contact Shellynne if you have more questions. Grace Ladies Fellowship: Women coming together in small home groups for the purpose of reaching the lost and encouraging the saved through practical Bible Study. Join our Grace Ladies Fellowship as we study the lives of two sisters, Rachel & Leah and learn about Combating Comparison. We will have registration online here If you have any questions contact Staci If you are interested in hosting a group in your home please let Staci know that as well. May brings so many things … the close of the school year, a glimpse of the summer that will soon be here and a time to specifically set aside to appreciate mom. I pray that all of the mom’s have a wonderful day. If you are fortunate enough to get to spend time with your mom I hope it will be a truly wonderful time together. That being said my heart goes out to those who will not get to spend time with your mom or your kids due to distance, strained relationships or they now sit at the feet of Jesus and you are clinging to that hope given to us through the sacrifice of our Heavenly Father in knowing that you will see them again. Those circumstances can make this a day of sadness and loneliness for some. I encourage you to reach out to those ladies that may have a day like that in store for them and remind them that they are loved. That word is seldom one that we like to hear and depending on what it is that is about to change in our lives, it can be meat with fear, anxiety or anticipation. As we look ahead to the changes that Pastor Steve prayerfully presented, I encourage you all to welcome this new format to our Sunday worship schedule. I believe that we as the women in our home have the ability to influence our family with our speech and attitude. Whether the eyes and ears watching and listening in your home belong to preschoolers, children, or teens you have the ability to influence their outlook on what’s going on around them simply through your speech and attitude. If we are excited and anticipate these new changes with a joyful spirit, then it is my belief that our families will be influenced by our example. 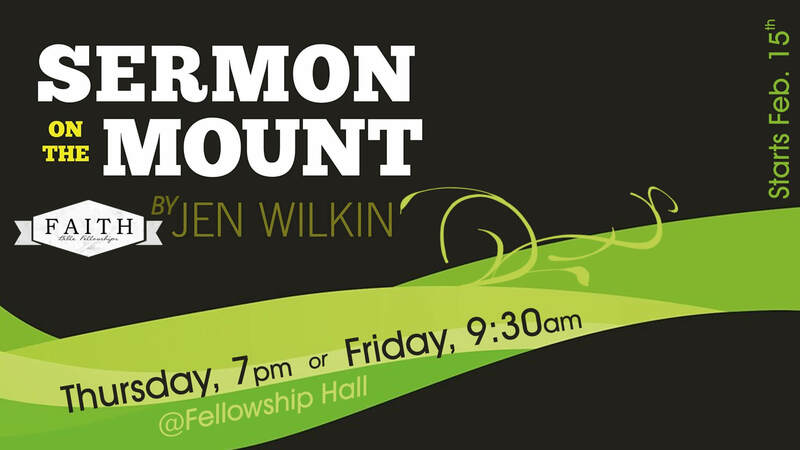 I am looking forward to getting to see and meet people in our church that I don’t usually ever see because we have been in different services. What a time of unity this will be for our church family. Our bible studies have come to a close and we have all enjoyed studying and discussing the word together in homes and at our church. I participated in the study that took a look at the sermon on the mount. Wow! I have heard that passage of scripture so many times, but never have I heard it presented in such a way as this. We studied it as a whole instead of looking at single passages here and there. It was a great time of learning and fellowship together. A big note of thanks goes out to Shellyne and Staci for leading and coordinating these studies. They do an awesome job. Stay tuned for the new studies to be presented in the fall. March is off to a great start as we look forward to some nicer weather (at least less clouds) and soon more daylight in our day! (Spring forward 1 hour this coming Sunday…) And spring break!! With the passing of Reverend Billy Graham, I have been inundated with thoughts and images from my childhood revolving around this man of God and the hours I spent as a kid watching him on t.v. The many messages of salvation and hope he brought to so many were certainly made known over these last several days with all of the interviews. With all of the attention on Billy, I actually learned more about Ruth, his wife, and their relationship. I found myself in admiration of the strength she gave her husband and all the research she put into helping him with his sermons (he recognized the gem he had in her knowledge of the Bible). I loved listening to how she coped with Billy being away from home so much of the time and how she handled the majority of raising their children on her own. What a privilege to get to have a peek at the life of this strong, faithful woman that followed Christ to the best of her ability in every aspect of her life. While I am not a fan of putting people on a pedestal of idolatry and trying to measure up to seemingly unattainable heights, I do like to recognize good examples when given and make adjustments where I am led to make them. I believe as women of faith, we have great opportunities to tap into the wisdom of the generation of women that have gone before us to help us be the best we can be. Whether it is through examples of women like Ruth Graham, or the example of Pricilla Shirer through a move such as War Room, I invite you to look for opportunities to give or receive wisdom and encouragement. I invite you to take a look at this clip and just take in her down to earth words of wisdom. We are into the 4th week of our bible studies and I trust that you are finding them helpful and are in the midst of a deeper dive into your relationship with the Lord and in His word. Please keep our bible study leaders in prayer as some have had some health issues in the past several days. We need to lift them up in prayer for strength, stamina and good health during these coming weeks. Bible Study Feedback/Sharing – We will be gathering all of our bible study attendees from all sessions after the studies conclude for a time of sharing and survey feedback on our spring studies. I will send out meeting information as we get closer to that time. IF Gathering 2018 – I know this is something that you look forward to each year. During our leadership planning session we came up with the idea of holding this conference as a recorded session instead of live streaming. This gives us more flexibility with setting our own agenda for the day and planning . I am getting close to setting a firm date (most likely September) and will get the save the date information out as early as possible so you can plan on attending. I trust you all had a great time of being together with family during the holidays and taking some much needed time of rest away from the hustle and bustle of the work place and school schedules…but guess what?! January has already come and gone and the year is in full swing with the start of February upon us. The month of February brings on many images and emotions. While we celebrate our love for each other or pay extra attention to our heart health during this month, my thoughts are lingering on the words our pastor shared this past week as he focused on the sanctity of life. While the ideas that life is miraculous and precious are so easily acceptable to us, I can’t help but think how hard it is for us as women to sometimes accept that our life is redeemable – no matter what we have done. As christian women, we are covered by the grace of God and yet we still find ourselves sometimes struggling with the thought that somehow we may not be worthy of that grace because of something that we did or maybe we should have done. Thank goodness God reminds us that day after day He bears our burdens…Ps. 68:19 and His love never fails us. Have a wonderful month celebrating the love that surrounds you! Our Sister to Sister Ministry is in full swing with 2 new bible studies starting this month. If you have not had a chance to register or see the information I invite you to take a look at the information below and join us for a time of study and fellowship. At the conclusion of these studies we plan on coming together for a time of fellowship and opportunities to share what was laid on our hearts during these studies. Click here for information and online registration. Katie does such a great job of planning our events and we send out our happiest congratulations to the Cox family on their newest addition, sweet little Madeline! We are officially in the midst of the Christmas season which always brings to my mind Christmas’ past. I think I do this because of all the traditions that surround Christmas whether it be gathering with family, the Christmas Eve candle light service, our favorite Christmas movies or just trying to get the kids ready and where they need to be at the needed time for all of their programs, band concerts, and other school activities that go with the season. This year I am again recalling all of those favorite memories, while I feel God has laid on my heart the importance of stopping long enough to embrace and enjoy the season of life we as women find ourselves as we make our way through this holiday. We all have things that concern us no matter where we are on our path – finding the right guy, finding the right job, being the best wife and/or mother you can be, finding those teachable moments with your kids or grandkids. Closing your eyes for what seems a moment when they enter middle school only to open them and they are in high school. That brings a whole new season – letting them go and find their way in a career or college and figuring out how to spend time alone again with your husband! You may be waiting on the grandkids to make their annual visit to your house. I know it’s hard to do sometimes, but stop and take a moment to really look around and take that mental snapshot and enjoy which ever season you find yourself in because they all go by quickly. This Christmas I also feel led to share a time of reflection of those seasons that are the hardest and nobody ever wants to find themselves in. It is a time that so many of us struggle with especially during this time of year. It is the first Christmas that a loved one is not at the table. Whether it is through the homecoming to be with our Father or a divorce we never saw coming; it is an empty space in our annual traditions. We all know of somebody that will have an empty seat for the first time this year….or even those that it may be many years of an empty spot. I would encourage you to say a prayer for them as they navigate through this Christmas. Give them a hug, a look or a squeeze of the hand. It will be needed and so appreciated as they make their way through this time. 2018 is just around the corner….be prepared for another great year in our women’s ministry. Begin praying about where you want to serve as we start discussing activities and events. Have a safe and very merry Christmas! This month we are focusing on the Names of God. What a wonderful way to prepare our hearts for Christmas. Be sure to print both pages to get all 31 days. Bible Studies are on Holiday break. We will begin again in the New Year. Thank you all for the great welcome I received last Sunday. I appreciate all the kind and encouraging words that were given. I hope you all enjoyed the great Bible studies that took place during our Faith and Grace studies this last month. I attended the study entitled “When God Doesn’t Fix It”…and boy there were so many great take aways from this study. While there were so many great nuggets of faith to digest, the one that made the biggest impression with me was this statement: As people of faith, we place our trust not in God’s willingness to change our circumstances, but to simply trust in God himself. That can be a difficult thing to remember; especially when you are going through the thick of something you wish He would not only change but a change in the way you would like it to be. We will continue our studies in the spring so be on the lookout for that information as we start the new year. Our leadership teams will begin meeting in the next several weeks regarding our 2018 events. I would like to encourage you to email me with any ideas of outreach within our church and our community that is on your heart. I can’t guaranty that we will make all of them happen, but we can certainly discuss and work towards as many as we can. Lastly, please stop by our ministry table if you are interested in donating to the Henderson family. We as a church have been ministering to this family these last several weeks since hurricane Harvey demolished their house about the same time as this family’s son was seriously injured during a football game. As a church, we have demonstrated God’s love and it has been reported that they are overwhelmed with this outpouring of love. They are not believers, so we are hoping this will make the impact that is needed for them to look to the great provider for their spiritual needs. FAITH Bible study groups have just finished our powerful study “When God Doesn’t Fix it”. This short 6 week study was packed with life transforming truth. I think our minds and hearts are still grasping the impact God’s Word has had on us in the area of the purpose of our suffering and trusting Him in the midst of it. If you are struggling to cope with the trials and suffering in your life, or know someone who is, I highly recommend this study (or even the book by the same name). He puts us in the furnace to burn off the greed, the impatience, the unkindness, the anger, the bitterness, the hatred, the lust, and the selfishness. For most of us, that’s a lifetime process. But in the end, the image of Jesus is formed in us. When we respond to suffering well, we, in a practical way, demonstrate to the unbelieving world that Christ is more glorious and precious to us than any pain and difficulty we might endure. God’s power is displayed through our broken story. 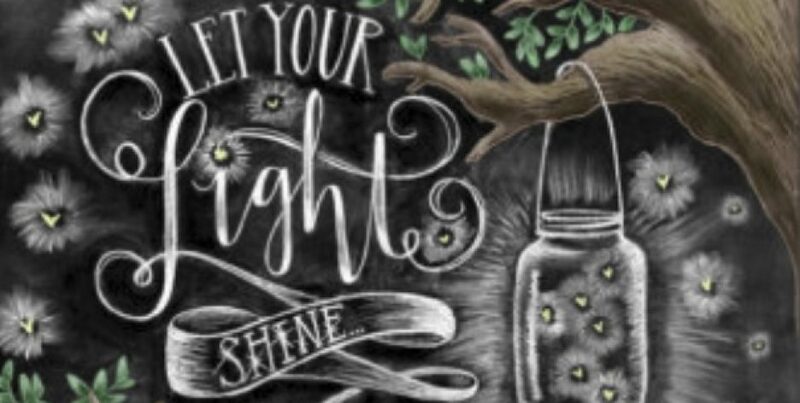 Living out our faith despite our struggles is what shines hopes to others. Grace is finishing up our study this fall “Proven” by Jennie Allen. Through Jesus’s example in book of John and Jennie’s teaching we are learning about taking risk, being vulnerable, h ope, and overcoming fear. The relationships developed through discussion are such blessings and demonstrate growth in Him. We are planning to have one large “pot luck style”wrap on November 12th at 6:45pm where all the groups will meet up and share how God has moved over the course of the study. Everyone is welcome to come and learn more. Please message me for more information and details. We are having a Christmas Craft Fellowship night on Friday, December 8th at 7 pm in the fellowship hall. We will have hot cocoa, desserts, and lots of fun and fellowship. Dana, with Dana K Creative, will be hosting our craft night and walking us through how to make beautiful Christmas signs that will make for a great Christmas gift for a friend or something you will proudly display in your own home (because it will be very hard to part with). The cost is $25 and all supplies will be provided. We will have a sign up online and at the women’s table coming very soon. Be on the lookout on our Facebook page for more details. We will also be displaying some of the beautiful signs at the women’s table in the weeks to come, so stop by to see them and to sign up!